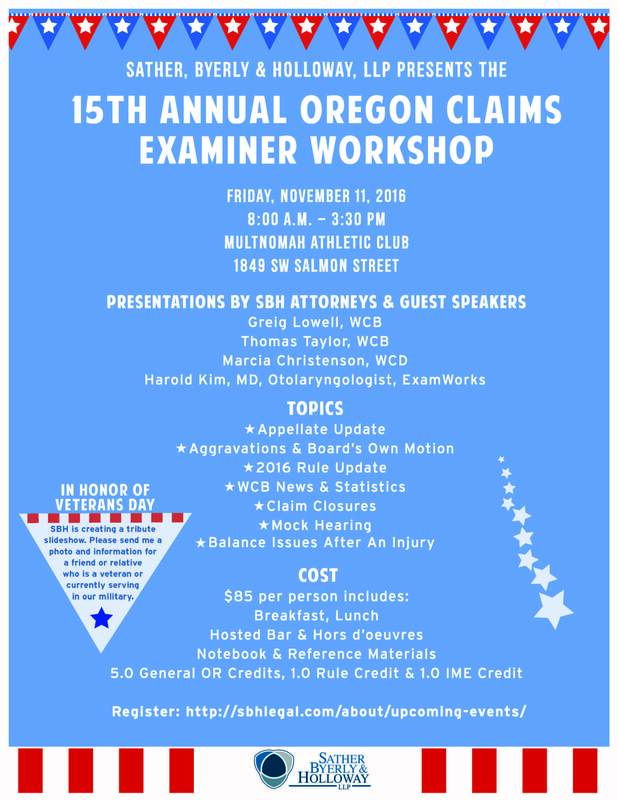 Join SBH at its 15th Annual Oregon Claims Examiner Workshop on November 11, 2016 at the Multnomah Athletic club. If you have not registered, there is still time! Click here to register. We look forward to seeing you there!